There’s quite a bit of lore to pull from in the Destiny universe, and no shortage of content that could make for a great expansion. 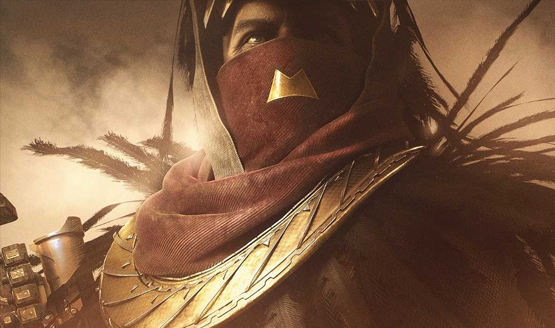 Destiny 2 Curse of Osiris explores one of the most famed Warlocks in Guardian history, and a name that many competitive players are very familiar with from the first game. Last week, I had the chance to stop by Bungie’s studio and play through the Curse of Osiris campaign before it launches in a few weeks, getting quality time with each of the characters and the new story they have to tell. Being a more covert mission due to Osiris’ previous banishment from the Vanguard (I told you, there’s a lot of lore here to pull from), Ikora guides Guardians to Mercury. Osiris’ Ghost has been found buried in the sands, and the Vex are mobilizing from across time to converge on the planet. It’s here that players are reunited with Brother Vance and the followers of Osiris, a group of disciples that worship his unorthodox methods and ways of thinking. Osiris was once the Vanguard commander and apprentice to the Speaker. Instead of protecting the Last City and its citizens, he began chasing theories and rumors about Guardian’s true purpose. He allocated too many resources to his obsessions and was exiled by the Speaker. Perhaps most disappointing about the campaign is that very little of this background is explored. It’s touched upon, of course, to provide some context to new players, but the true weight of who Osiris is and his appearance in the Destiny 2 story will only be felt by the lore fiends who explore the interconnected lore of the Destiny universe. It’s exciting though, to interact with a character that is highly respected by Ikora Rey, someone who we’ve come to see as a wise and powerful figure in the Vanguard. Her brush with mortality after the Guardians lost their Light in the Red War campaign has changed her outlook on things, and she’s much more keen to explore traditionally taboo ideas in the wake of the Cabal invasion. Osiris’ methodology is still touchy subject matter, however, so we don’t see this impact the wider Vanguard way of thinking yet. The notorious Warlock exile isn’t thought of highly by the other Vanguard veterans, but seeing the typically resolute Ikora start to question her traditional ways of thinking expands her character arc from the main game. Sagira, Osiris’ Ghost, is another Destiny first. This is the first time we hear another Guardian’s Ghost speak (and she’s female too!) in addition to learning that other Ghosts actually have names (do we just call ours Ghost?). There’s also a really fun element to Sagira that I won’t spoil, but it ensures she takes center stage for much of the main campaign as she guides Guardians through the Infinite Forest on Mercury and finding where Osiris was lost to. Destiny’s expansions have been prone to just introducing another big bad and having the Guardian fell them. Crota. Skolas. Oryx. Rise of Iron changed that somewhat by introducing the Iron Lords, exploring their story a little more deeply, and having the enemy be more of an idea than a specific character. Curse of Osiris continues that trend by having a story that revolves around Osiris and what he’s been up to exploring Vex tech and secrets. While the Vex are the primary villain, and there’s something nefarious going on on Mercury, the narrative centers on Osiris and the things he’s capable of, as well as what he’s discovered traveling through the Infinite Forest–essentially a Vex matrix of sorts where they can simulate all eventualities. The expansion also manages to have one of the best and most interesting boss battles in Destiny history outside of the Raid bosses. 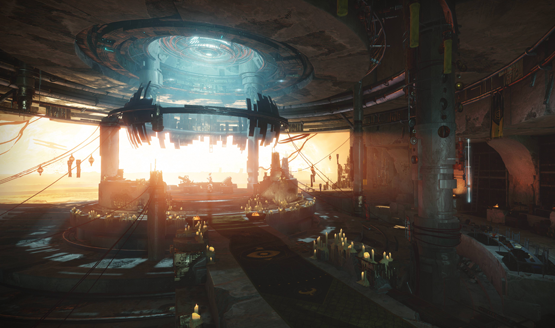 Curse of Osiris will take players to Mercury and have them returning to a few of the planets from Destiny 2’s main campaign, clocking in at a good three hours or so to complete, though to be fair, we were rushing through the encounters to ensure we got to see the whole thing. I can see a typical playthrough being more in the ballpark of four or five hours, and would put it on par with the length of the Rise of Iron campaign missions. Curse of Osiris will move the needle on understanding of the Destiny lore, and sets the stage for even more interesting things to come. There are certainly some seeds planted here that will have Destiny fans talking. It explores some very interesting possibilities regarding things that haven’t been touched on in Destiny before, including talking to another Guardian’s Ghost. While it does suffer (as does all of Destiny 2) from the removal of Grimoire cards not allowing players to dive even deeper into the story and characters, I’m sure that the full expansion will have additional ways for players to interact with the lore, from lore on gear, to scannables, to adventures that will reveal more about the characters and world. We’ll have a full review of the Destiny 2 Curse of Osiris expansion after it releases on December 5. Stay tuned for more impressions, gameplay, and coverage of Curse of Osiris as we approach the launch date. Destiny 2 Curse of Osiris previewed at Bungie. Travel and accommodations provided by Activision.